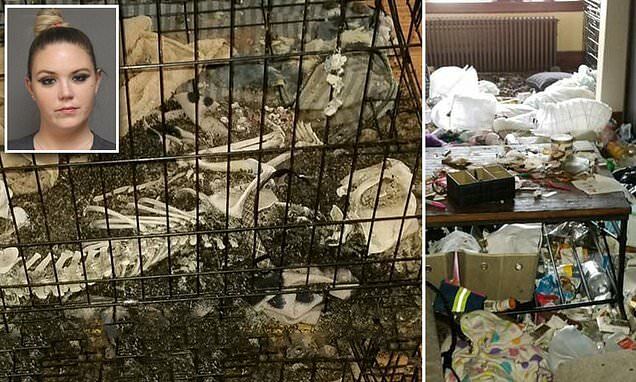 An animal shelter boss has been arrested and charged after five dead dogs were discovered in her Connecticut home. Heidi Lueders, 30, turned herself in to police Tuesday where she was charged with five counts of animal cruelty after animal control detectives found the dead dogs in crates her home in November. Lueders is the former president of Bully Breed Rescue Inc, an animal shelter in Connecticut. Authorities say the dogs had been dead for between two and 10 months before being discovered in November. 'The remains, for the most part, were just bones,' Lt Robert Kalamaras told the Fairfield Post at the time. Back on November 2018, the Fairfield Police responded to her rented home on a report of animal cruelty.